The condo has fully tiled floors, new 50" flat screen TV (pictures coming soon) and DVD player and a 120sf lanai with awesome ocean views. The "08" stack has amazing straight out ocean views that strike you from the minute you open the door and guests won't be able to forget those great views for years to come. This condo has every thing you could want: Newly remodeled, ocean kitchen, all tiled floors, whisper quiet split Air Conditioning and awesome ocean views that you will never forget. Book now while some dates are still open. 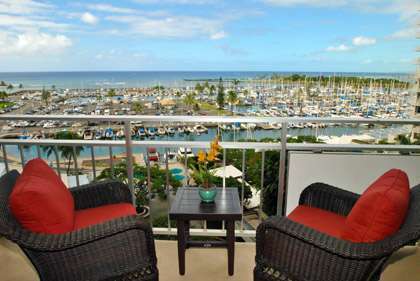 Ilikai 808 - Sunny and cheerful with views over the marina and ocean beyond. 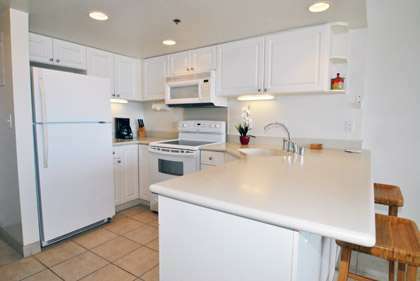 Clean and tidy with lots of cupboards and utensils/appliances. (Scissors didn't work but I had my own). 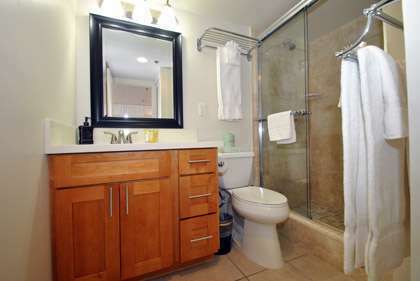 Huge closet with mirrored door-excellent, and walk-in shower in bathroom. A relaxing stay. 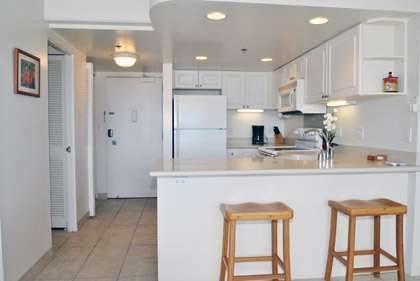 Ilikai 808 - Fantastic location, gorgeous views and sunsets fitted our families need for shopping and beach access. We would book again. 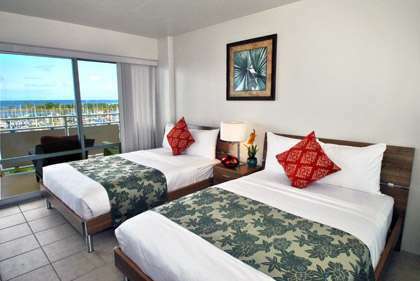 Ilikai 808 - My sister and I stayed here 2 yrs ago and absolutely loved it! Our room was great! Excellent views! Ilikai was a beautiful hotel and the staff were fantastic. We can't wait to come back!!! Ilikai 808 - Our family stayed here from 16 Dec 2016 – 30 Dec 2016. It was out of this world a wonderful family apartment. The view was breathtaking from the time we opened the front door. Sunsets were amazing and from every angle of the apartment the view was to be seen. The apartment was sunny, light and modern and spacious. Fantastic modern kitchen and loved sitting on the balcony looking at the view day and night. Would definitely book this apartment again. 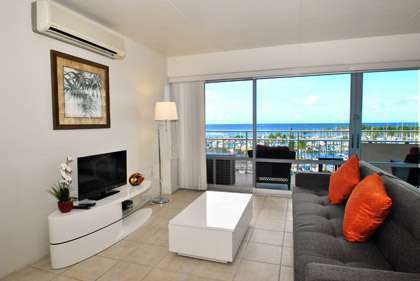 Close to shopping centres, lagoon, beach, easy walk to everything and loved the Ilikai complex as well. Great for a family, my children loved it and we very comfortable and enjoyed having a pool. A gem really. We will be back. Ilikai 808 - Stayed here end of September and loved every minute of it. The condo had a great family feeling, the view was amazing and you could see the stunning sunsets each night. There was only two of us staying and the condo was perfect. 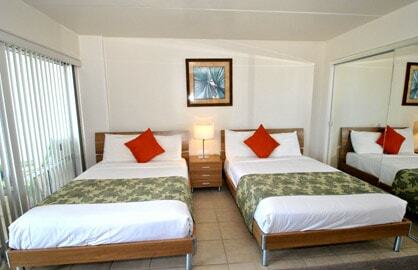 The location was great for both the beach and about 10 minutes walk to Ala Moana shopping centre. There are laundry facilities on each floor and the hotel facilities were also great. There was no table on the balcony if you were a family of four, but for two or three it is perfect.